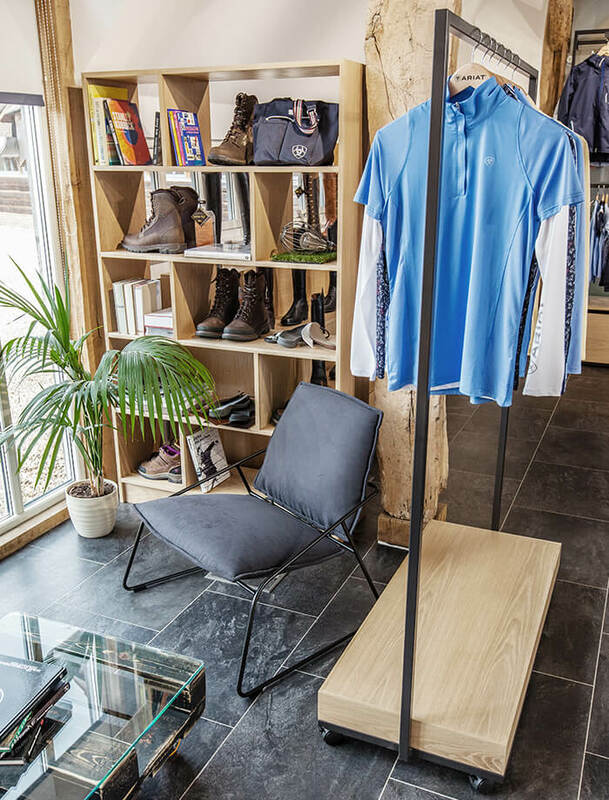 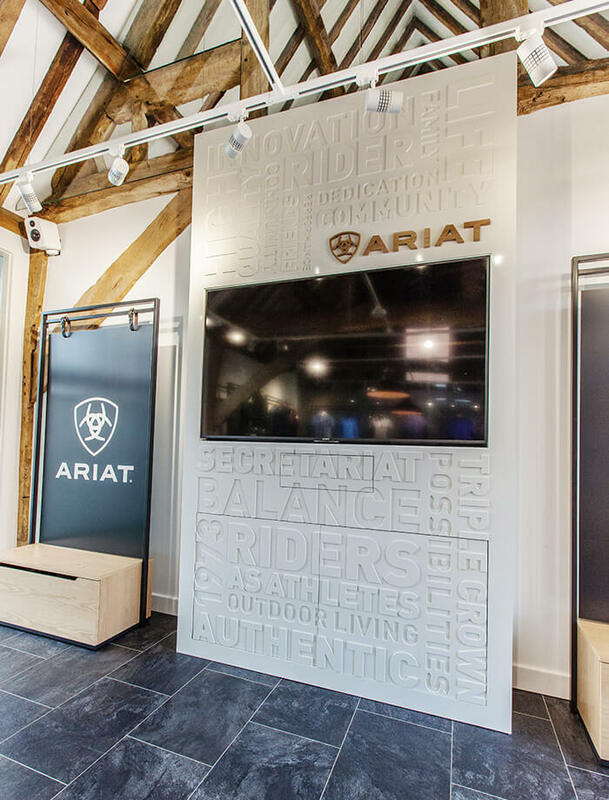 Ariat International is a market leader in equestrian footwear and accessories. 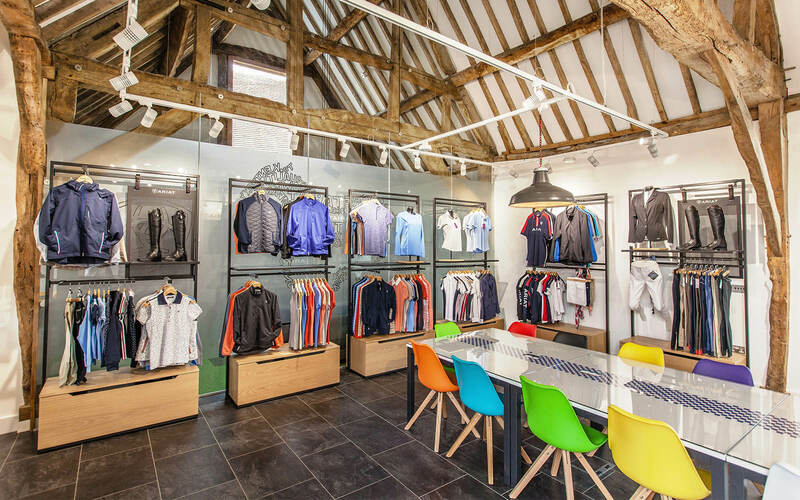 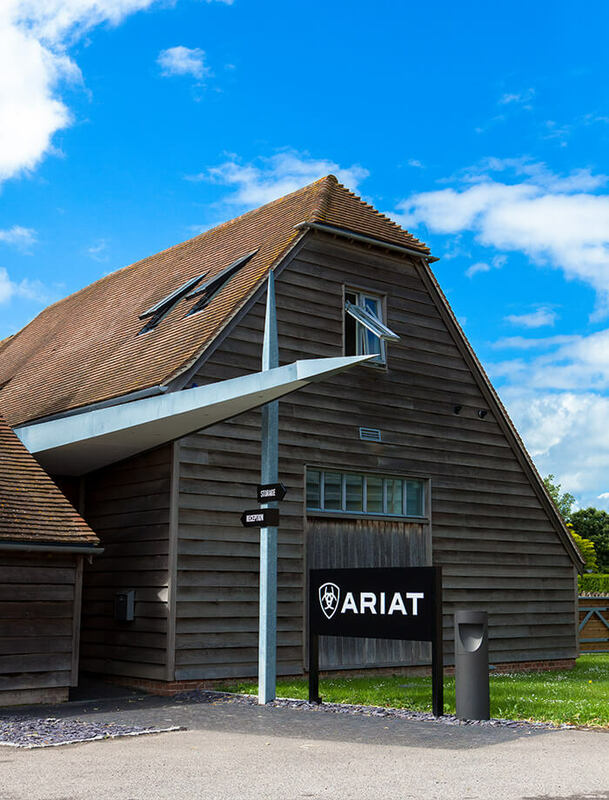 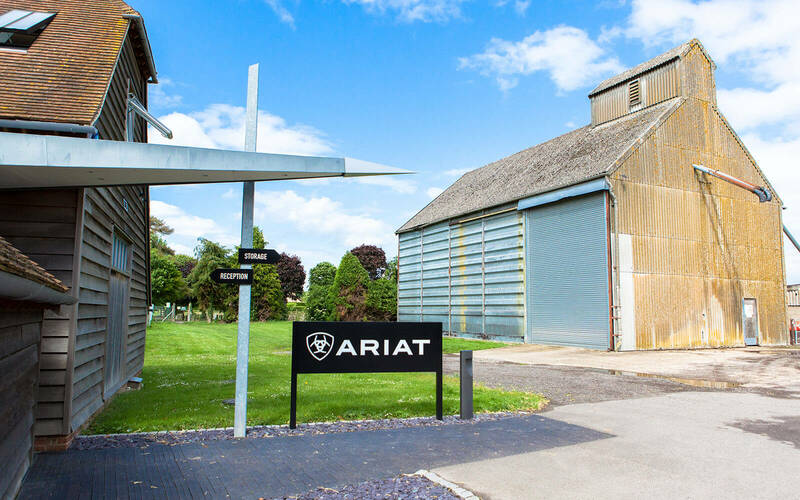 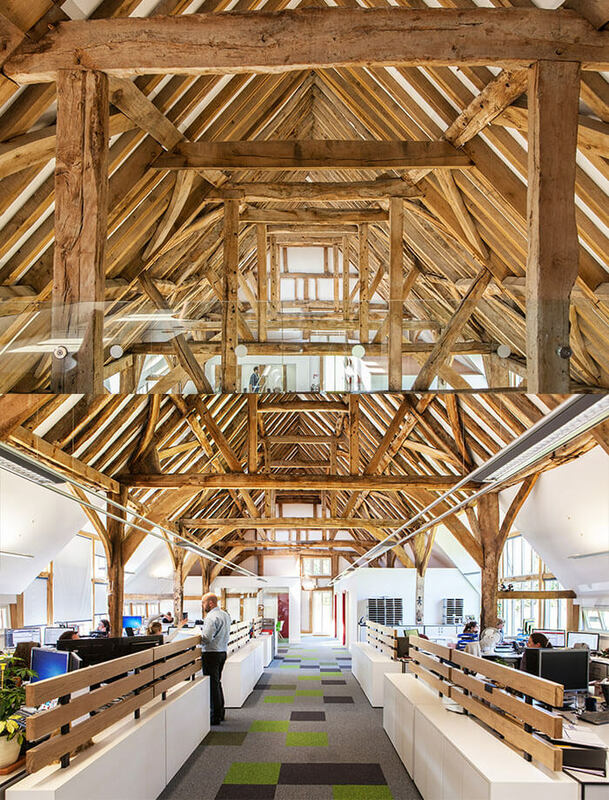 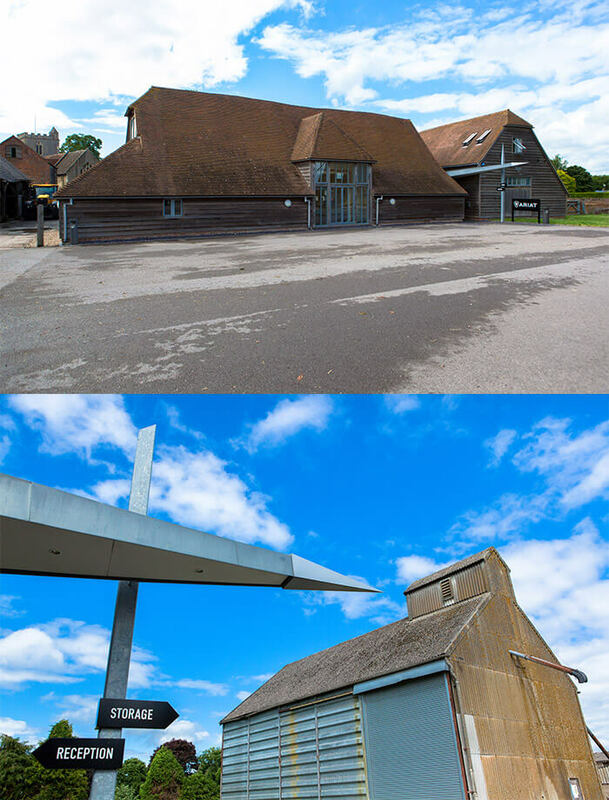 We were approached to design and build their new head office at two grade II listed barns in rural Oxfordshire. 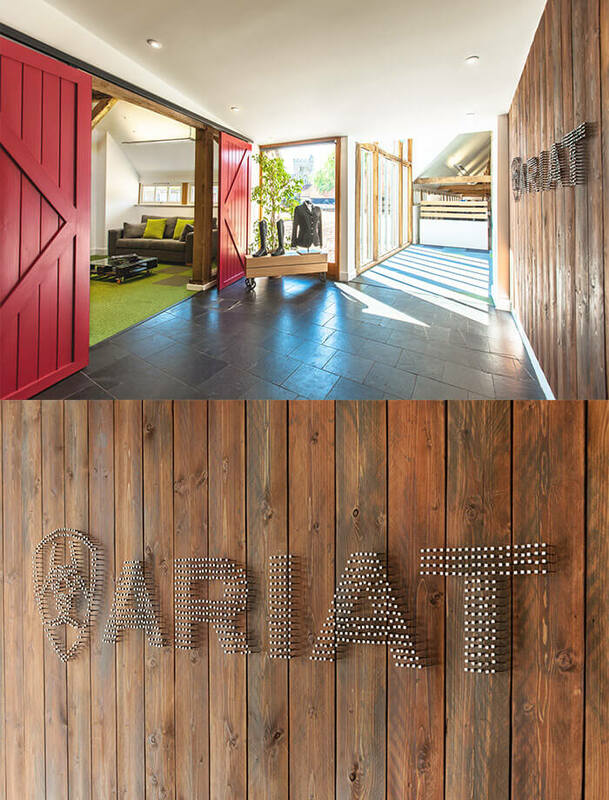 Our desire was to make the original features integral to the aesthetic of the design. 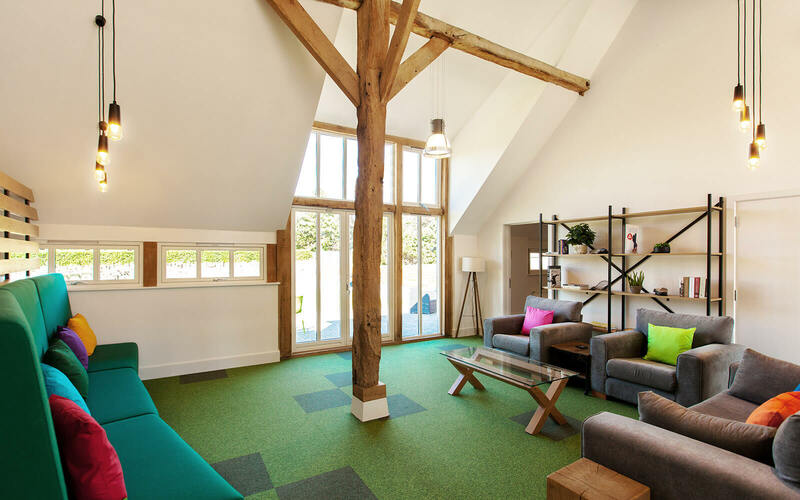 We designed, planned, design managed, manufactured and installed all bespoke furniture and fixtures. 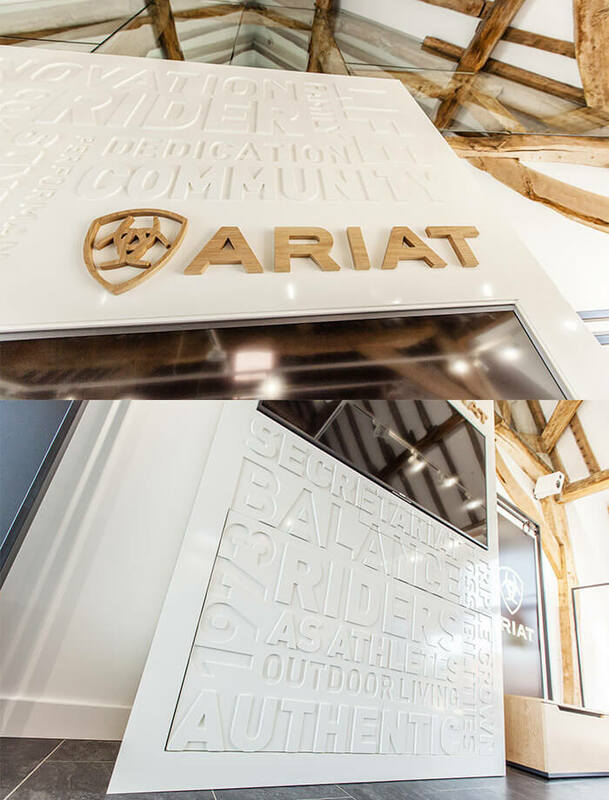 The entrance area features a reclaimed timber clad wall with the Ariat brand mark hand-hammered out of over 1100 farrier’s nails. 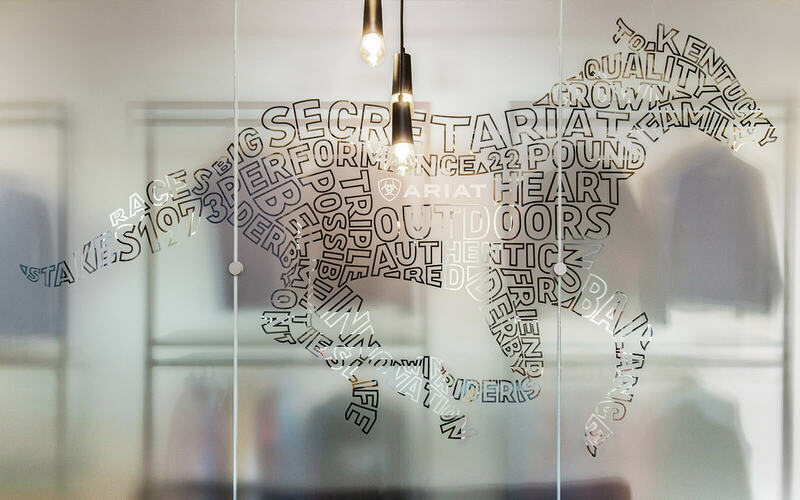 We also commissioned Bristol based artist Bruce Crowes to hand illustrate the famous Secretariat galloping to victory in key words from the brand’s mission statement. 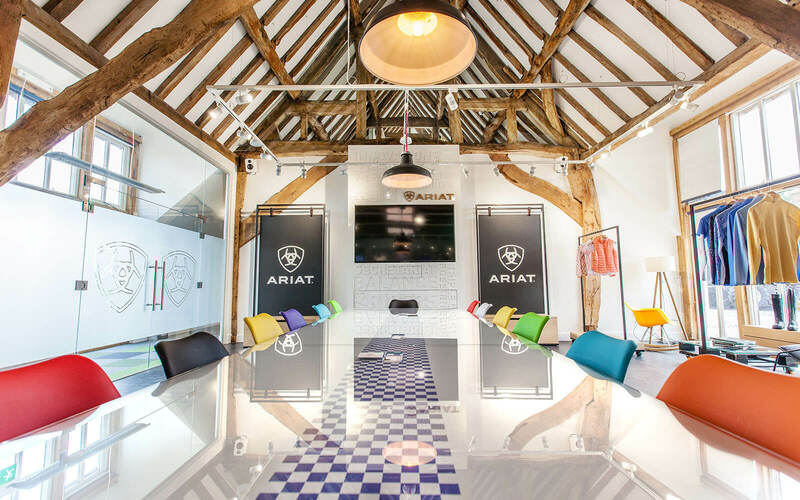 This was then digitally re-created to be applied to a large glass wall partitioning off the brand showroom. 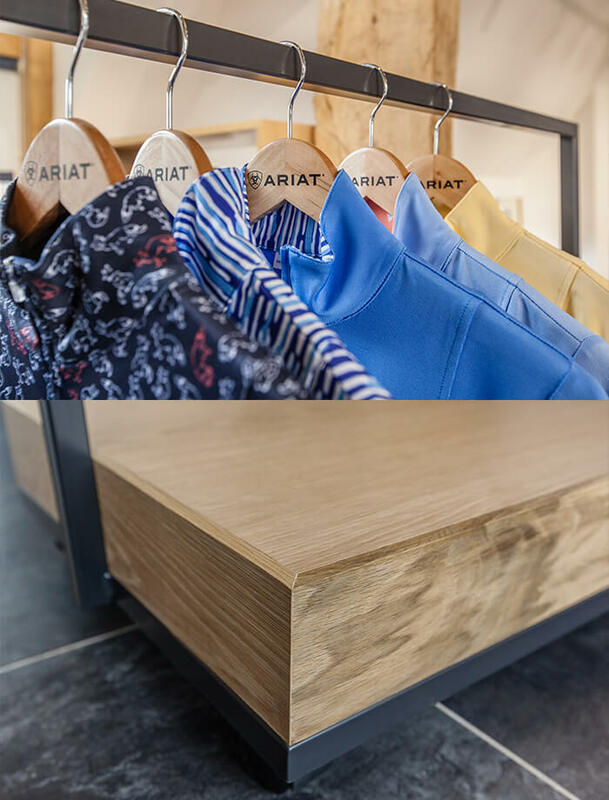 The showroom space delivers hand built furniture from solid oak and steel, along with intricate leather strap details and oak sleepers. 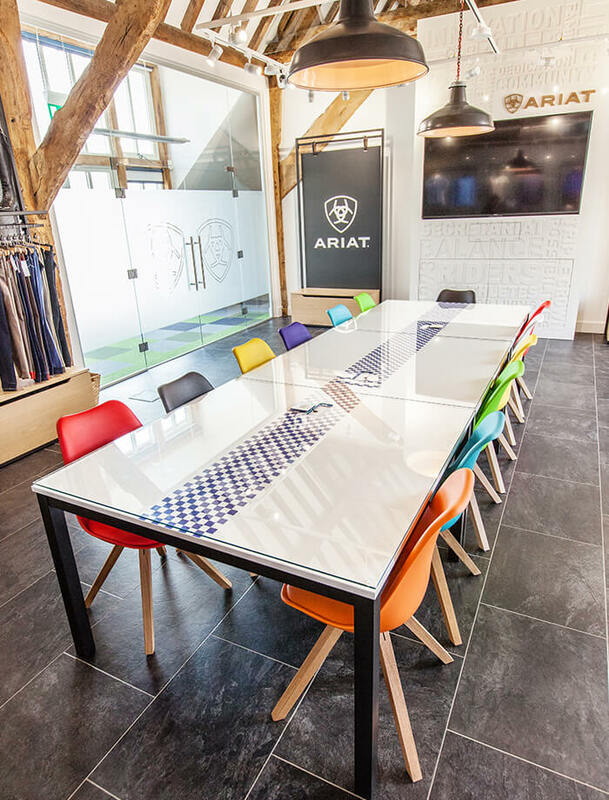 The central meeting tables are adorned with the blue and white squares made world famous by Secretariat, the foundation on which the brand was born. 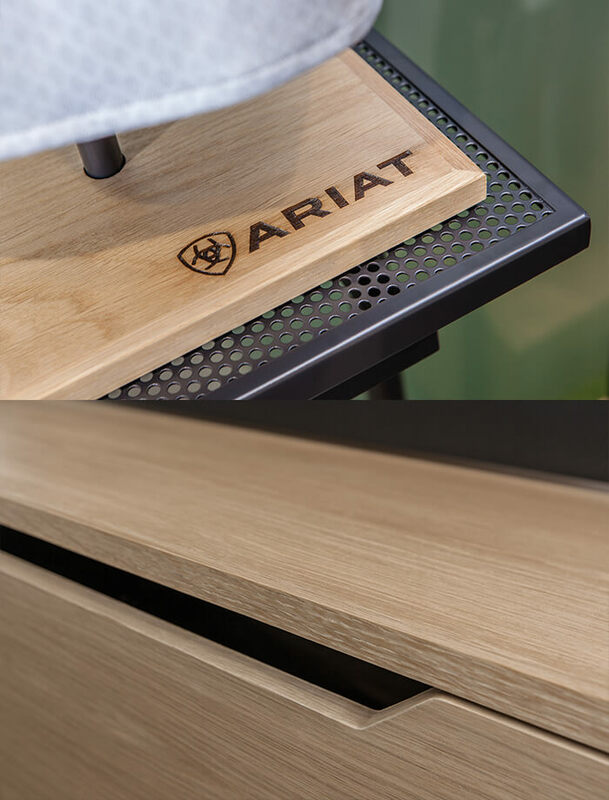 At the head of the table is a 75 inch video conferencing system, housed inside a bespoke hand finished cabinet. 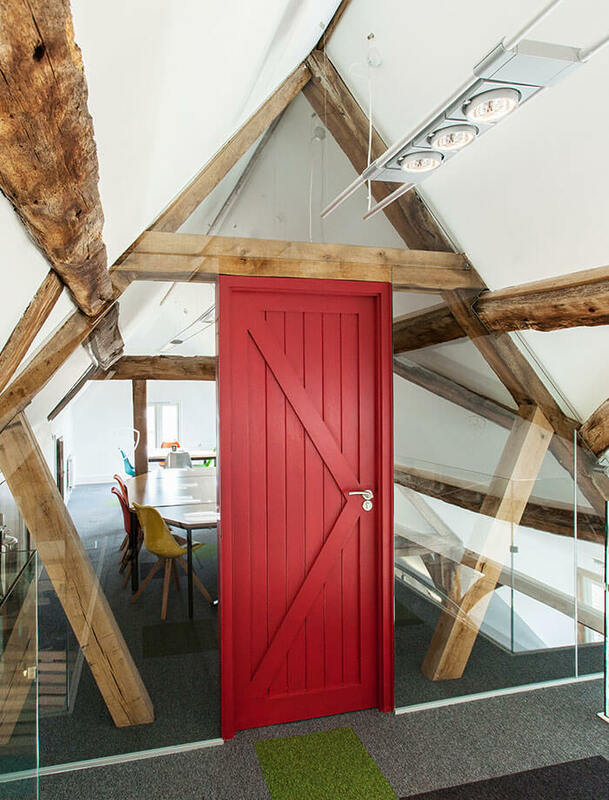 Upstairs there is a fabled red barn door, which appears to float in the space surrounded by full height glazing. 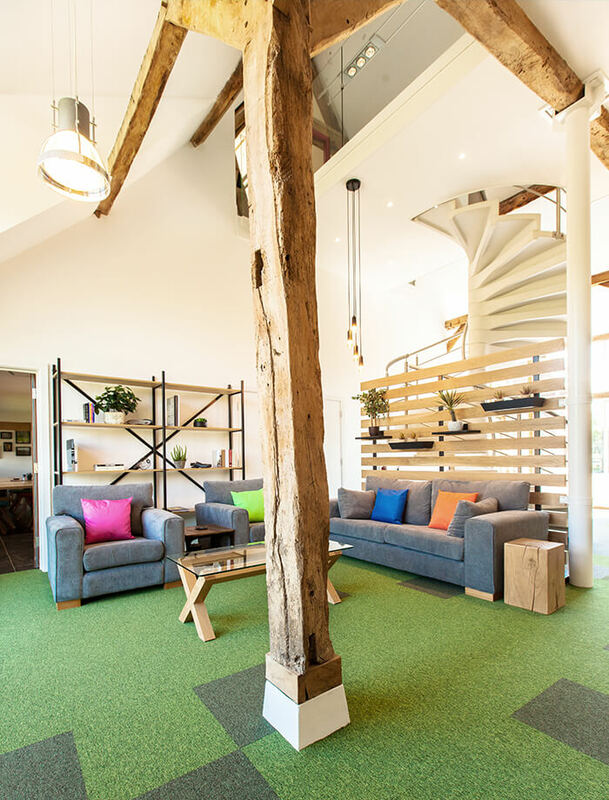 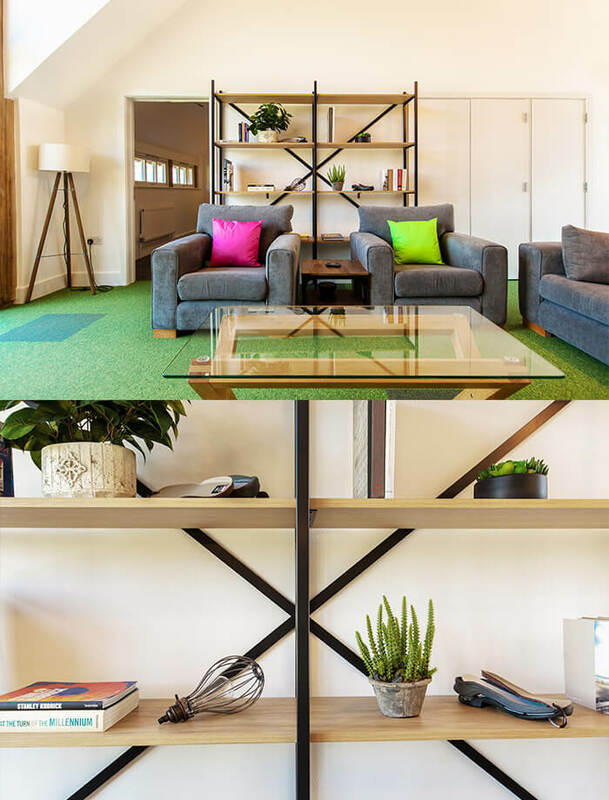 The main office space features dividing units made from solid oak to emulate horse jumps, and a breakout space for staff with a large curved seat, bookcase and oak wall. 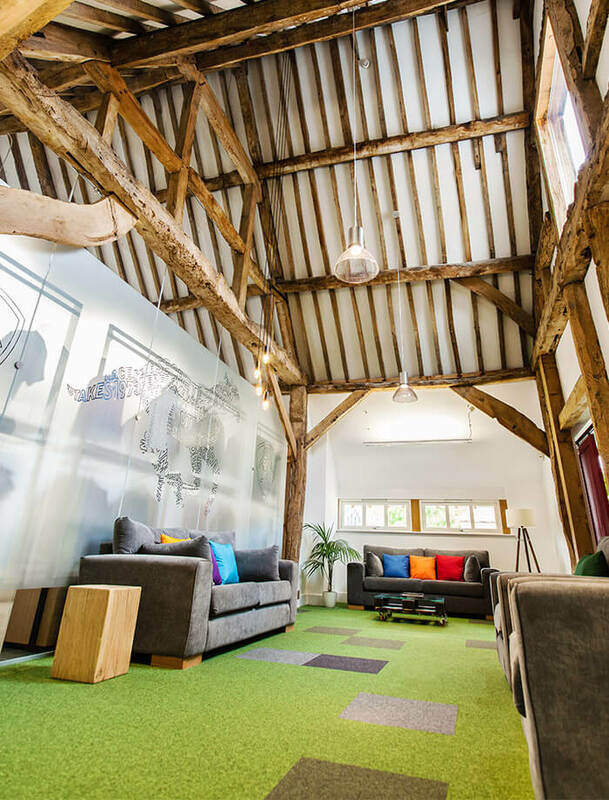 Three private office pods were constructed for senior staff, with large red barn doors and full height glazing to reveal many of the building’s original features. 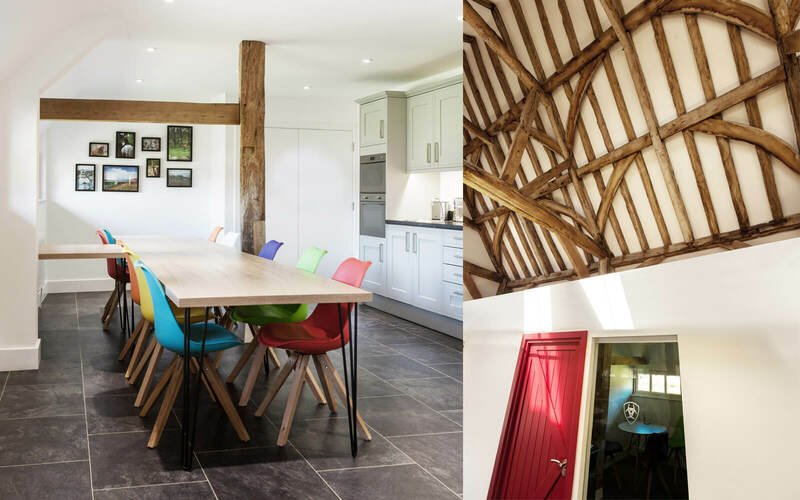 The end result is a progressive modern space set within a beautifully authentic setting. 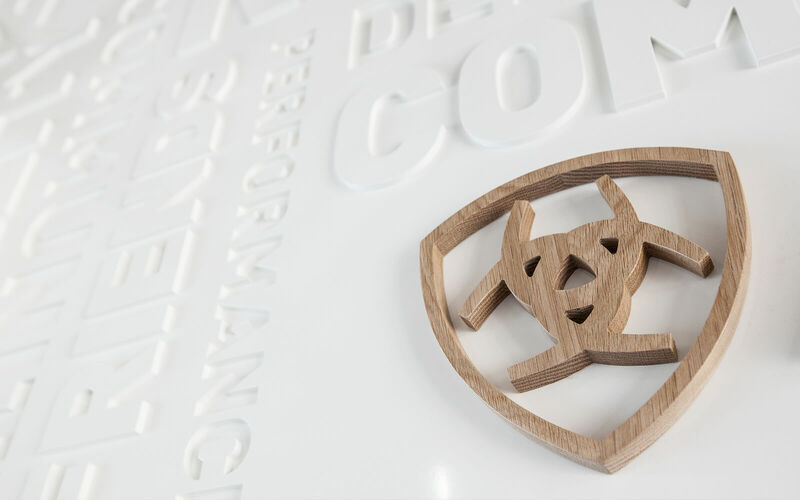 Perfect for a progressive outdoor brand with plenty of authentic pedigree of its own.